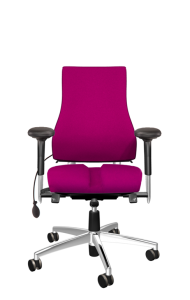 Axia 2.0 in colour - BMA Ergonomics. 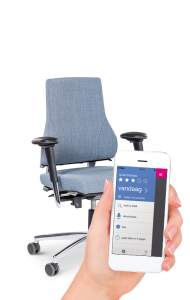 With almost 1,000,000 seats sold (during 2019 the millionth chair will roll off the production line), the Axia has made its mark. The chair is, thanks to its timeless design, seating comfort and modularity, also a huge asset within the BMA and Flokk range. 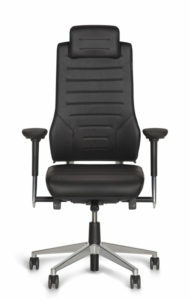 For our 30 year anniversary, and in anticipation of the 1,000,000th Axia office chair, we have gone back to basics. The works of Dutch master Piet Mondriaan (1872-1944) are our inspiration, with their primary forms and colours being typically Dutch, but still well-known across borders. 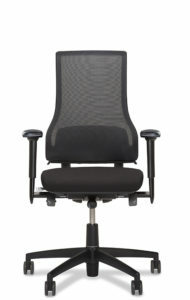 Just like the Axia office chairs. To celebrate this we have upholstered the Axia 2.1 to 2.5 range in Mondriaan colours and photographed them with the example of “Composition with a large red surface, yellow, black, grey and blue” (1921). As of 1 January, the fabric Select by Gabriel is the new standard within our fabric collection. It’s simple, tightly woven fabric with an elegant look that has been developed together with our own Flokk design team. The extensive colour palette has more than 58 colours (including 12 standard colours) and has a colour of choice for everyone. 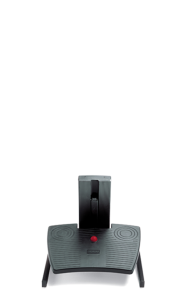 In our case, our choice is Mondriaan red, yellow, blue, black and white.